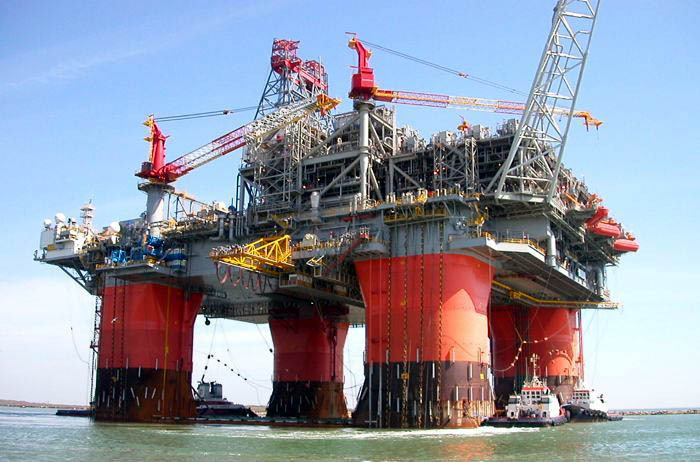 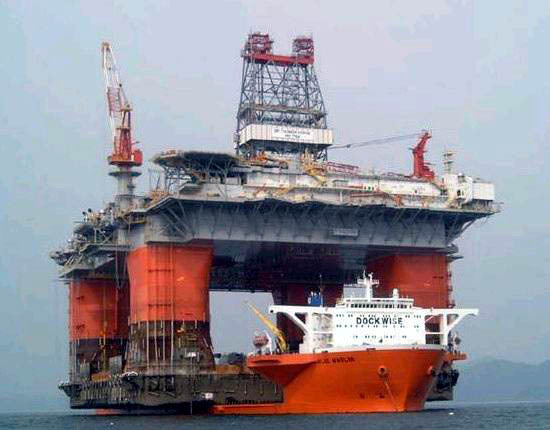 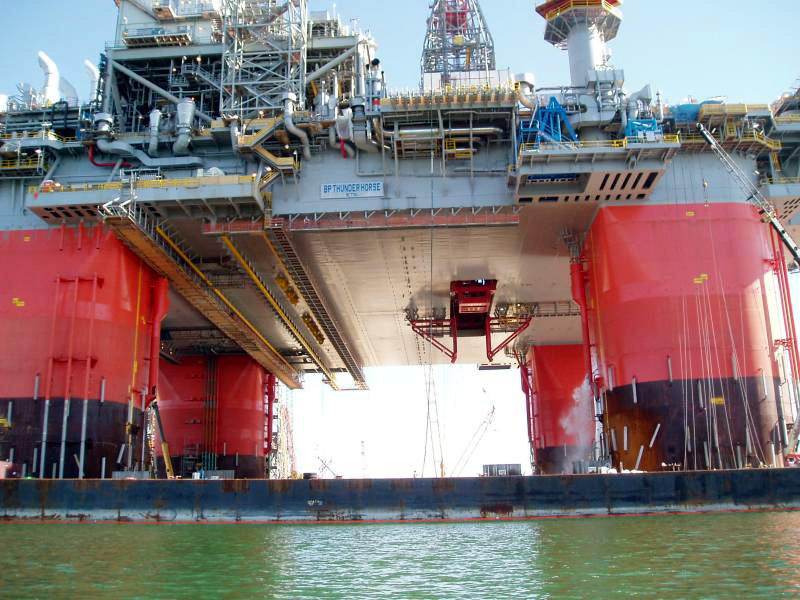 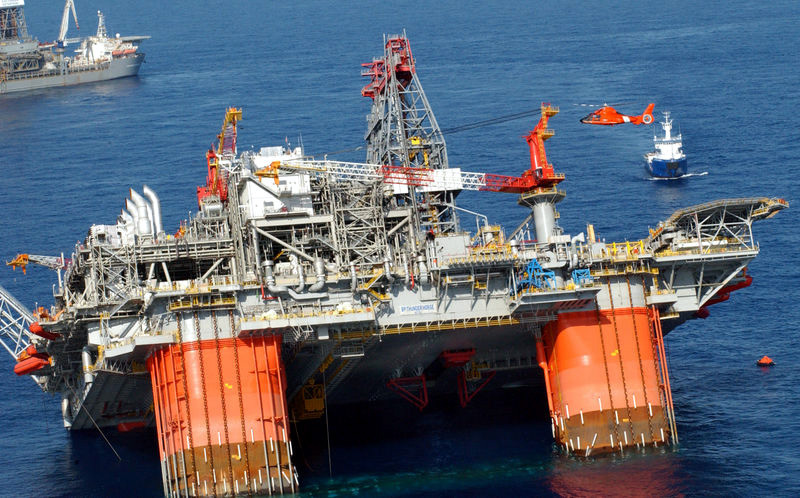 BP Thunder Horse, with a displacement of about 130,000 tons, is the largest and, reportedly, the most technologically advance Semi-Submersible deep-water platform ever built. 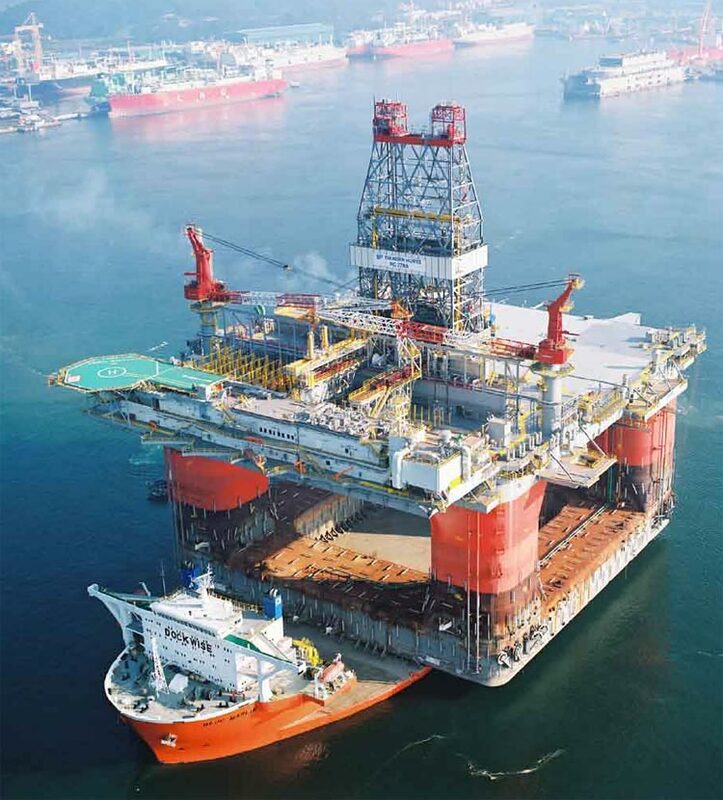 Daewoo Shipbuilding built the hull at its Okpo yard in South Korea and J. Ray McDermott, an offshore oil construction company, completed the topside in the US, in Morgan City, Louisiana. 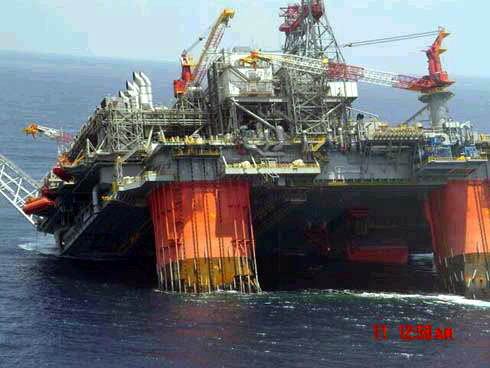 In March 2004, BP Thunder Horse was towed out of the Mississippi river and positioned about 150 miles southeast of New Orleans, in the Gulf of Mexico, destined to operate at a depth of 6,050feet (1,840meters). 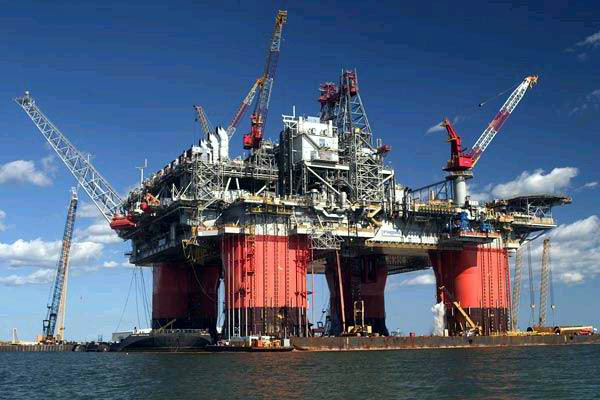 It is owned and self insured, primarily by BP (British Petroleum) at 75%, with Exxon Mobil owning the other 25% share. 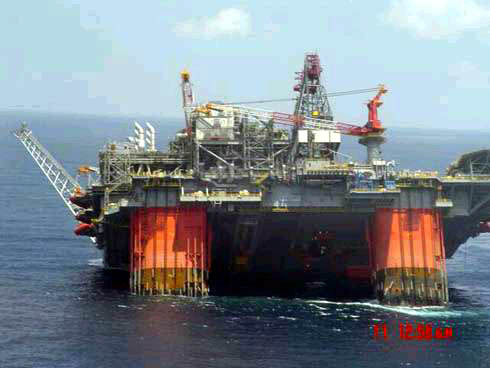 BP Thunder Horse was scheduled to achieve production in late 2005, and when it does it will represent about 1% of total US oil production when its 250,000 barrel capacity comes online. 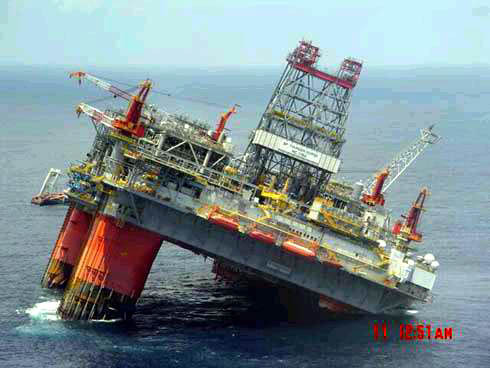 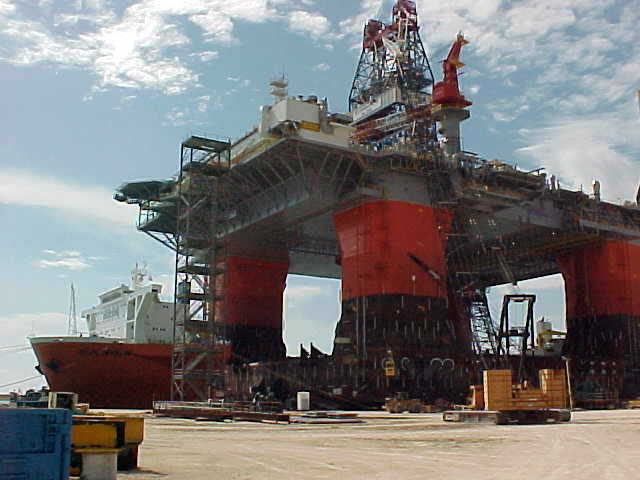 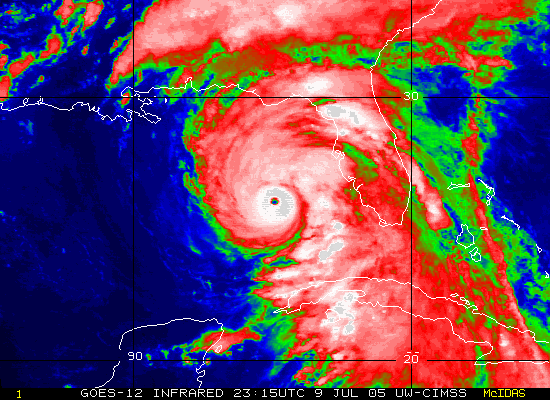 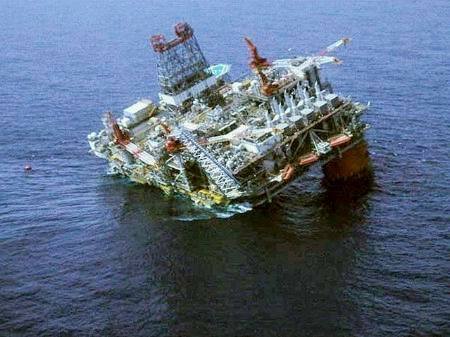 �In mid July 2005, Hurricane Dennis swirled in the Gulf of Mexico and the platform was evacuated as a precaution. 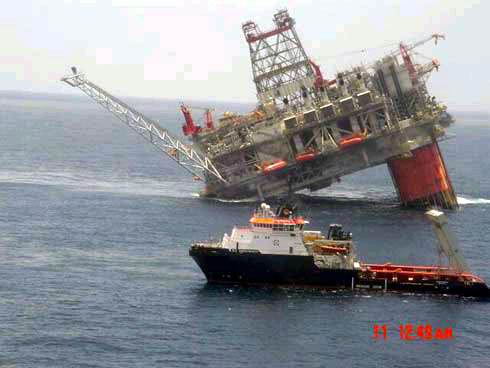 Upon return to the platform on July 12 2005, it was found precariously listing 20 to 30 degrees; the lower deck of the platform was at sea level. 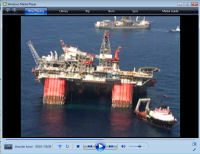 Click on the picture below to view a video of a flyover by the USCG of the platform. 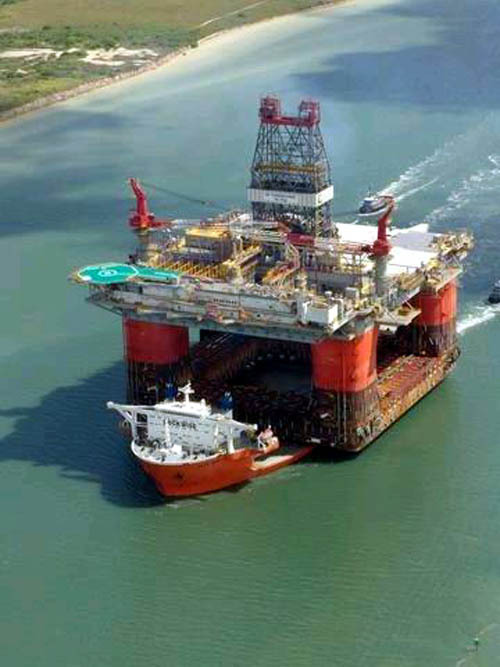 I originally heard that the cause appeared to be human error in the operation of the ballast system before evacuation � �someone left a ballast valve open, flooding a ballast tank causing the list.� But it would appear, from various blogs, that it could be a mechanical failure. 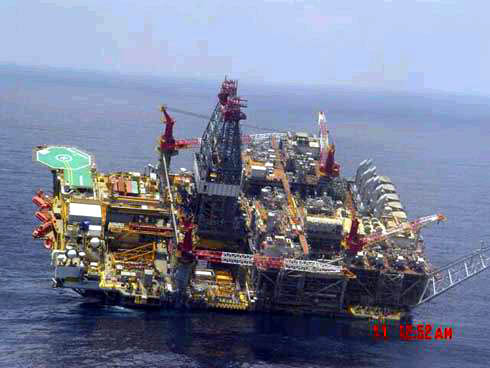 Offshore Engineer magazine reports that Thunder Horse is up and running... fast! 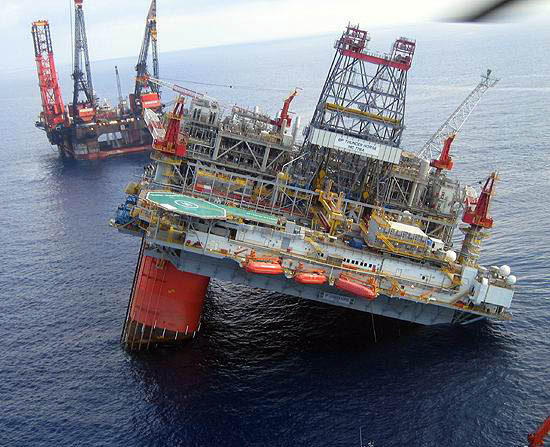 The rig reached first oil in June 2008 and in April reached a production level of 310,000 boe/d (barrels per day) from just seven subsea wells, making the field the world's largest producer. 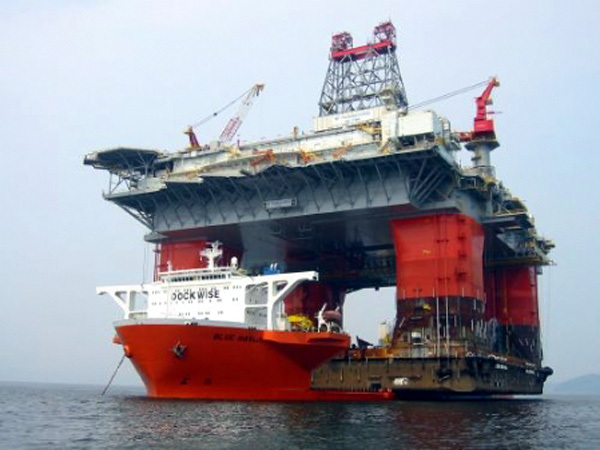 Moored in 1900 meters of water the oil gushes out at 1200 bar 135 degrees Celsius.